Home-based food businesses, which are easy to set up and do not require a big starting capital, encourage women to become part of the workforce and support their families, create job opportunities, and stimulate the local economy. Manar Harb's love for cooking began at a very young age. “I’ve been rolling vine leaves with my mother ever since I was a little girl, cooking has always been a big part of my life”. She was always an active member in different associations in the north of Jordan and was everyone's favorite caterer for all kinds of events. 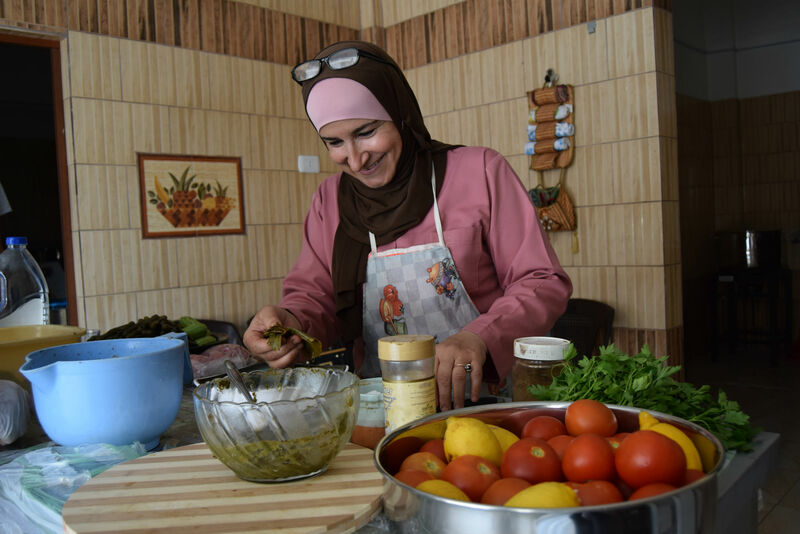 With a supportive husband, three children and an active social life, things were going well for Manar who lived in a somewhat conservative part of Irbid. But it all changed after her husband passed away several years ago. She suddenly found herself alone with three young men to raise and no income. On top of that, she was faced with legal problems related to the house they were living in, and was forced to move to an older, smaller house with her children. She had only one choice; to survive. Since cooking was what she did best, the only option she had for generating revenue at the time was to start a catering business from home. Her customers were mainly family and acquaintances, and she relied solely on word of mouth to bring in more customers. She was able to make just enough money for her family to get by, and for three years, she worked day and night just to cover basic household expenses and was able to cover her sons' university tuition. Setting up a home-based food business can be very challenging for any business owner. 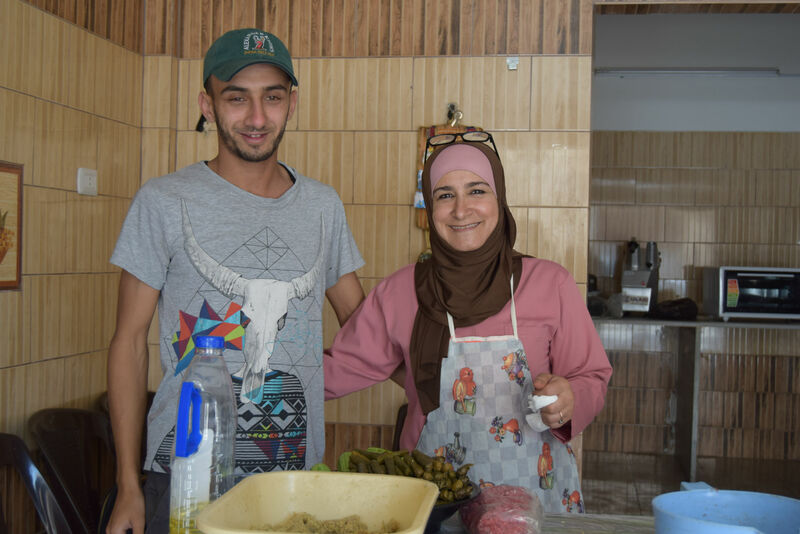 Power outages, the lack of kitchen equipment and appliances, limited space and cooking capacity are just a few of the challenges faced by home-based businesses, and Manar's small catering business was no exception. She knew that she had to expand from a home-based to a commercial business to be able to overcome these challenges, so she applied for a small business grant from the Local Enterprise Support Project (LENS) funded by USAID Jordan to be able to take this step. While there is no shortage of restaurants in Irbid, Manar tapped into a niche market: tasty homemade meals. It took her about 2 years to rent a space and open her production kitchen. Even with the support of the project, problems kept coming out of the woodwork and that slowed her down a great deal. But she finally opened her new place just in time for Ramadan 2017, and the orders started flowing in right away. “I receive many orders every day, but I cannot take more than five. Once I expand more and hire more workers, I think I’d be able to accept as many orders as I get”. 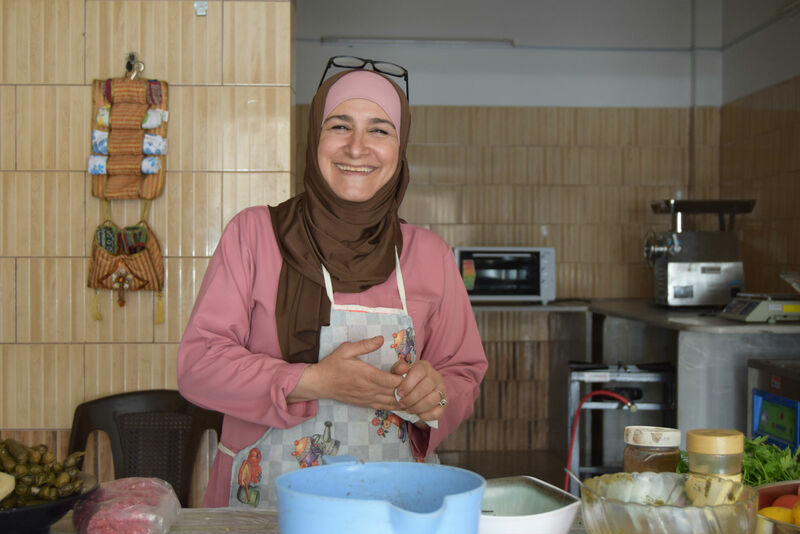 Manar’s expansion allowed her to hire 3 women to help her in the kitchen, in addition to her two sons who help out with the delivery of orders and dealing with suppliers. She expects to double her current net profit to 500 JOD ($700) per month in the near future. “Sometimes when I receive big orders, my sons help me prepare the food. It’s unusual for young men to cook with their mothers in our village, but they’re willing to do whatever it takes to help me”. Manar says that orders must be placed one or two days ahead. Her prices are affordable for everyone, as she takes into account her customers’ financial situations. She charges a reasonable price of 15 JOD ($15 - $20) for a meal big enough to feed a family of five. 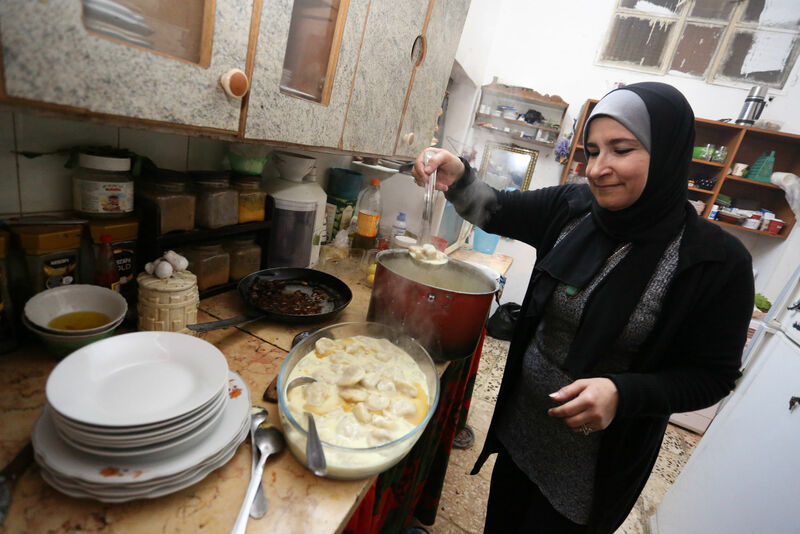 “In five years, I hope I’d have a team of 12 or 15 women brought together by their love for cooking, and I want to have a restaurant that serves hearty, home-cooked meals that extends across this entire street!” said Manar while pointing at the far end of the street in her hometown in Irbid, with a big smile on her face.